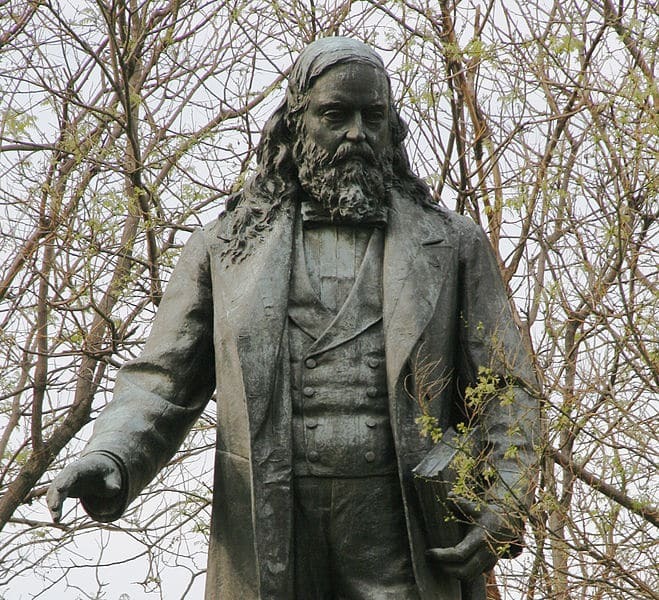 If the most experienced in American history have certainly heard about the bloody deeds of the general Albert Pike, unfortunately few are aware of his fanatical obsession with satanic esotericism cultivated within the American Masonry, descendant of that of the Scottish Rite, and even they know less that he founded the Ku Klux Klan but earned instead of eternal infamy a great statue in Washington. This is because his exploits date back to a time when critically analyzing the activities of the so-called “free masons” was strictly forbidden, or discredited from a historical point of view, since the most fervent followers of the secret societies of various ritual obediences had been among the champions of the Risorgimento and of the Unification of Italy, starting with the incensed international conspirator Giuseppe Mazzini, joined to Pike by Masonic brotherhood, mutual esteem and by projects for the creation of occultist and elitist Masonic lodges aimed at spreading the suprematist ideal of a New World Order. 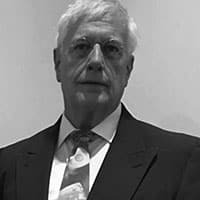 Today, fortunately, there is an increasing number of scholars of historiography who are implementing a meticulous revisionism of the last three centuries, noting the fundamental and devastating role played by Freemasonry in the revolutions and wars of Europe, it is easier to reread events of the past with transparency. decrypt the plots that like cobwebs have harnessed countless areas of social life in a repeated international connection that will lead us, in subsequent articles, to reconstruct the mutual esteem and plans for the creation of occultist and elitist Masonic lodges aimed at spreading the suprematist ideal of a New World Order. Today, fortunately, there is an increasing number of scholars of historiography who are implementing a meticulous revisionism of the last three centuries, noting the fundamental and devastating role played by Freemasonry in the revolutions and wars of Europe, it is easier to reread events of the past with transparency. decrypt the plots that like cobwebs have harnessed countless areas of social life in a repeated international connection that will lead us, in subsequent articles, to reconstruct theexcellent crimes of Freemasonry between Italy, England and the United States of America . 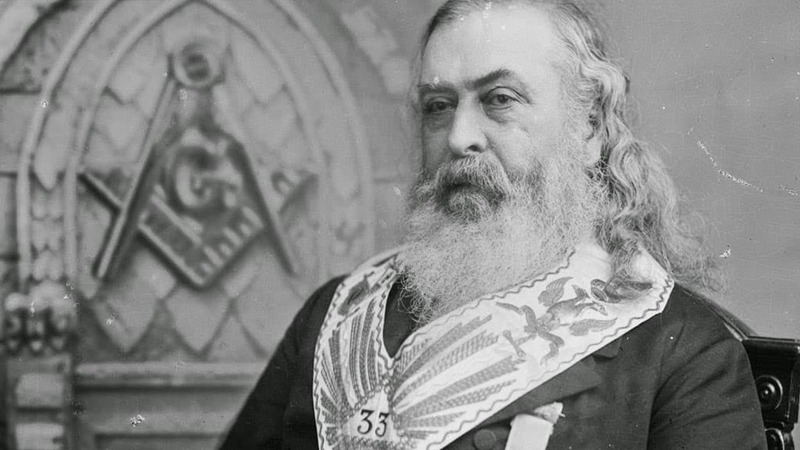 Albert Pike has been called the Pope of American Freemasonry and has gone down in history as well as for the sharing of Mazzinian ideals also for his satanic veneration. “Born in 1809 in Boston, he became one of the most famous lawyers in the South. With almost superhuman intellectual faculties he spoke and wrote 16 languages. 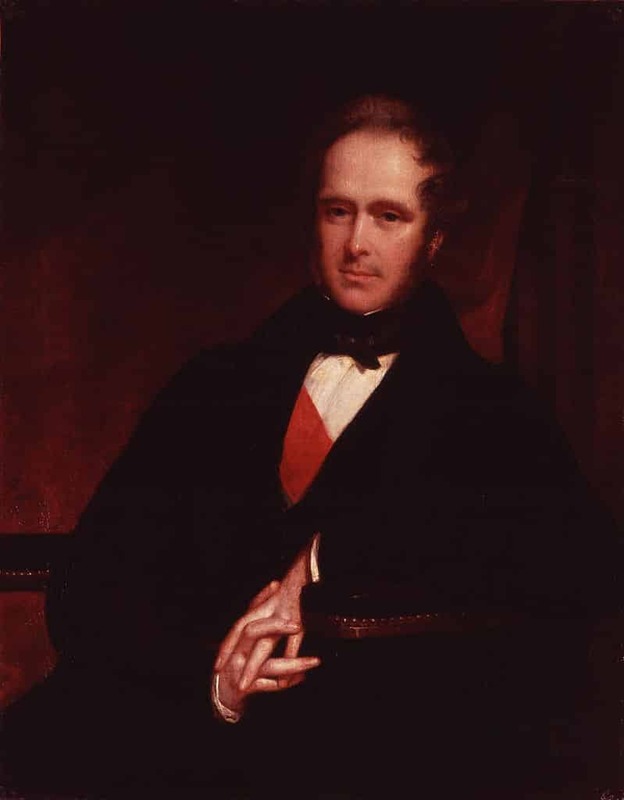 Entered Freemasonry in 1850, in 1859 he became Grand Master of the Ancient and Accepted Scottish Rite (which we will shortly call RSSA for brevity), namely the supreme head of American Freemasonry “writes Estonian scholar Juri Lina on page 196 of his book architects of deception: the occult history of Freemasonry “. Lina dedicated a life to deepening international plots and because of her clear opposition to Communism in 1979 she was exiled from her country. Even other scholars of American history agree that Pike, after the election of Abraham Lincol in 1860, through his Masonic hegemony, was among those who directed the insurrection of the South that led to the bloody US Secession War (1860 -1865). A few years earlier, in 1854, one of his close collaborators, Judah Benjamin, formed the “Knights of the Golden Circle” (Knights of the Golden Circle). Their first operations consisted of the paramilitary training of terrorists throughout Central America, with the aim of provoking a war between the United States and Spain, which ruled that area. To note the curious coincidence that they acted in the South American countries a few years after the guerilla actions carried out there by the Italian Mason Giuseppe Garibaldi before his return to Italy. The experienced writer Lina analyzes Pike’s lightning military and Masonic career in detail and characterizes his inhuman cruelty: “During the Civil War, Pike was a brigadier general of the southern troops and commanded an army made up of Indians of eight tribes. At his command, these troops committed massacres of such cruelty and ferocity that England even threatened to intervene “for humanitarian reasons”. Even Southern President Jefferson Davis, then, was forced to take action against Albert Pike and ordered him to disperse the Indian army. After the war, for his heinous crimes and his massacres, Pike was found guilty of treason by a Martial Court and imprisoned “. But in the meantime the general had made his triumphal entry among the free masons. According to the Dictionnaire de la Franc-Magonnerie, Pike was co-opted by the 33rd degree of the American RSSA Albert Gallatin Mackey, secretary of the Supreme Council of Charleston, who persuaded Pike to join the Order where he became Sovereign Grand Commander of the Scottish Rite (Supreme Council , Southern jurisdiction) from 1859 to his death “. 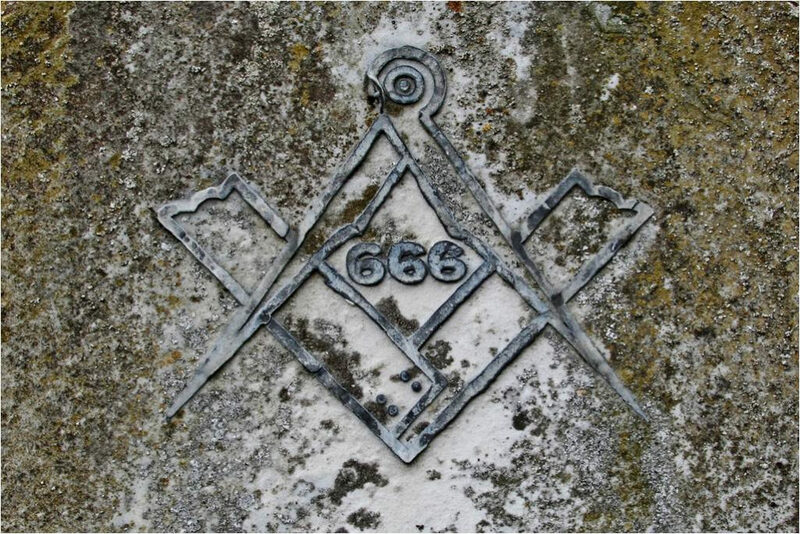 Here, therefore, that, as often happened to the masonry affiliates, he obtained impunity by virtue of an important brotherhood: «The American president Andrew Johnson, Albert Pike’s subordinated Freemason, on April 22, 1866, graciously praised him, while the American press kept, for a good nine months, a total silence on this news »adds Juri Lina. The assassination of his predecessor Abraham Lincoln, of which he had been deputy in the Union precisely during the years of the American Secession war, undoubtedly had a great influence on Johnson’s decision, ending in turn in the sights of the conspirators. Pike obtained the pardon even though the previous year had given further proof of his slavery and racist fanaticism: in December, in fact, after the victory of the Northern Union in the secessionist conflict, General Pike, together with General John J. Morgan and to a small group of Southern officials, in Pulaski, Tennessee, he transformed the aforementioned Knights of the Golden Circle into the bloody xenophobes of the “Knights of the Ku Klux Klan” (KKK), (from the Greek word kuklox meaning “circle” or “circle”) “). “Albert Pike, called” the 19th century Devil “, he was obsessed with the idea of ​​world supremacy. When he became a Mason of the 33rd degree, and head of the Illuminati of Arkansas, he devised a plan to take control of the world through three world wars and other great revolutions, ”concludes Juri Lina. In her work Occult Theocrasy, Lady Queenborough, literary name of Edith Starr Miller, highlights the importance of the Ku Klux Klan founder in America and her relationship with the English Mason Longfellow, who moved in 1947, and the his friend Moses Holbrook, then Sovereign Grand Commander of Charleston. “Longfellow and Holbrook, in the course of their exchange of impressions of the Cabal, had planned to create a Satanic rite in which the adepts would be instructed in Black Magic, but Holbrook, the Grand Master of the Supreme Council of Charleston, who had already composed a suitable ritual and a sacrilegious mass called Adonaicide Mass (Mass that kills Adonai, the God of Christians) died, delaying the full implementation of the project. To confirm this thesis comes the secret correspondence between the RSSA Freemason Giuseppe Mazzini (1805-1872) and a member of the International Revolutionary Committee of London, an organization placed under the direction of another high-ranking Mason, the British Secretary of State, Henry John Temple, third viscount of Palmerston (1784-1865), who linked his name to the English imperial politics of the time, from the opium war to the sulfur quarrel with the Bourbons which gave rise to the enmity that justified the English financing of the Expedition of the Thousand and the Unity of Italy, designed by the Mazzinian movements Giovine Italia and Giovine Europa. 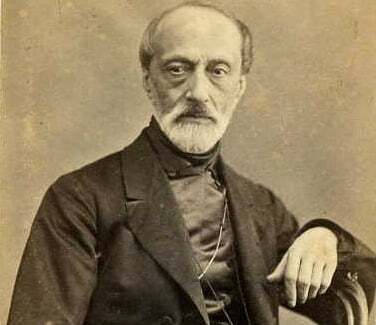 Two letters are of great importance: the one that Mazzini sent to Pike on 22 January 1870 and that of Pike to Mazzini dated 15 August 1871. More historians agree that this correspondence is preserved in the secret archives of Temple House, the site of the Rite Scottish from Washington, but consultation prohibited. But the letter from the Southern General, written on August 15, 1871, was in the past exposed only once, however, to the British Museum Library in London. There a Canadian naval officer, Commodore William Guy Carr (present as a consultant for the United States at the San Francisco Conference of June 26, 1945) took vision by noting down various notes that allowed him to publish a summary in the book Pawns in the Game “Pawns in the Game”. The Royal Canadian Navy soldier was in fact a fervent Catholic scholar of secret societies and satanic occultism. The document seems prophetic enough to advocate the “crisis-war-revolution” project, which devastated the 20th century. Here is an eloquent sentence written by Carr after reading the letter: «The First World War had to be fought to allow the “Illuminati” to break down the power of the tsars in Russiaand transform this country into the fortress of atheistic communism. The differences raised by the “Illuminati” agents between the British Empire and the German Empire were used to foment this war. After the war ended, communism had to be built and used to destroy other governments and weaken religions “. The contents of Mazzini’s letter of January 22, 1970, according to the aforementioned scholar Lady Queensborough, are disturbing: «We must create a superior Rite that will remain unknown, to which those Masons of the High Degree we will choose will belong. With regard to our Brothers in Freemasonry, these men will have to commit themselves to the strictest secrecy. Through this supreme rite we will govern every Freemasonry, and it will become the only international center, the most powerful because its direction will be unknown ». It is believed that precisely from these words and intentions was born that very secret lodge reserved for adepts of occultism called Palladism. To explain this concept another book written by an author under a pseudonym but no less documented, intervenes: “Freemasonry and the Secret Seven: the occult face of history” by Epiphanius, Editrice Ichthys: “Palladism, defined by the Larousse encyclopedia as” cult of Satan Lucifer, that is to say of Satan considered as the Angel of Light, the human and beneficial god “, was a secret theurgical society, unknown to the Masons even of high degree and therefore composed only of” emeritus “. Preferably the Kadosh Knights, the 30th degree of the Scottish Rite, or equivalent degrees of the Egyptian rite of Memphis-Misraim were admitted; the name accepted by the Palladian rite was that of Re-Teurgisti Ottimati, while the lodges were called Triangoli. The Palladian hierarchy had three degrees: Palladic Kadosh, Palladic Hierarch and Elected Magician. Palladism was placed above the Supreme Councils formed by the exponents of the 33rd degree of the Ancient and Accepted Scottish Rite and from these positions descended to the lower grades by successive infiltrations. The origin of the “New and Reformed Palladian Rite” were Albert Pike and Giuseppe Mazzini “. Juri Lina – Architects of Deception : the Occult History of Freemasonry, Architects of Deception: The Concealed History of Freemasonry, Referent Publishing, Stockholm 2004. I know very little, but I have read Albert Pikes’ books available to the public. I have also listened to ALL available lectures from Manly P. Hall. I find absolutely no hint of racism, hate, or perversion. Additionally, Manly P. Hall clearly states the famed letter to Mazzini is a fake and out of character. I am not a mason, but I highly respect the knowledge made available to the public from both Pike and Hall. And for those who still think the founding fathers were Christians, wrong. Most were masons. The big mistake about the Mazzini’s letters is the interpretation of the summary report by Carr lika the same content of the letters instead it’s only a personal interpretation of them So the language and the historical fatcs are the ones of 1956 not in 1871. In those letters isn’t important the specific referement but the whole coup by fremansonery against Christian Church like in Illuminati intentions congress in Rothschild Castle 1782 (seven years befor frenche revolution). “The Christian, the Jew, the Muslim, the Buddhist, the follower of Confucius and Zoroaster can unite as brothers and join in prayer to the only God who is above all others” [Albert Pike, “Morals and Dogma” , op. cit., p.153]. In this phrase there’s the concept of Luciferian religion like other important freemansons admits in different period. “World War Three is to be fomented by using the differences the agentur of the Illuminati stir up between Political Zionists and the leaders of the Moslem world. The war is to be directed in such a manner that Islam (the Arab World including Mohammedanism) and Political Zionism (including the State of Israel) will destroy themselves while at the same time the remaining nations, once more divided against each other on this issue, will be forced to fight themselves into a state of complete exhaustion physically, mentally, spiritually and economically. Can any unbiased and reasoning person deny that the intrigue now going on in the Near, Middle, and Far East isn’t designed to accomplish this devilish purpose? Yes – well researched & correct logic of context. We can see the gatekeeper’s even lurking here. People who research & know the dogma/doctrines/tenet’s/symbols understand the ‘Keys’ how it works. The usual derisive name calling/finger pointing tactics in full bloom & on display. The predictable cries of ridiculous/heretic accusations speak volumes to those that can hear the music. The game has been played for centuries w/ same tactics & methods behind persona masks. Thanks for speaking truth as it has no agenda or temperature. Ian Greenhalgh writes: “The letter claimed to be written by Pike to Mazzini is an obvious fake; it is supposedly written in 1871, but contains a reference to ‘Nazism’. therefore it is most likely written no earlier than the 1930s.” We’ll disagre & I’ll go w/ my gut & instincts. I suspect most here are not in awareness that ‘NAZI’ is a crypo-code Romanized name for “IgNAZIo” which means ‘Firey One’. Of course many aren’t privy to the ‘crypto’ real world only what they show or teach the proles. That’s ridiculous, the term Nazi comes from the early opponents of the NSDAP in Bavaria and wasn’t used by the Nazis themselves who instead referred to themselves as ‘party members’. The term fell out of use in Germany by the 1930s, to be later picked up and used by the British and wasn’t reintroduced to Germany until after 1945. Never ceases to amaze me the capacity some people have for concocting esoteric airy-fairy nonsense, when the truth is almost always far more simple and prosaic. 1) Pike was not in the KKK. 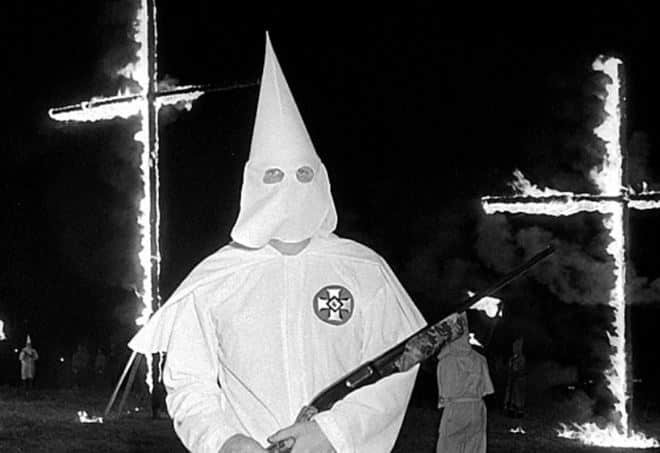 Dr. Walter Lee Brown, an expert on Pike, has stated that there are no primary sources that support the accusations that Pike was ever involved with the Ku Klux Klan. Even from a Congressional investigation no reference to Pike ever came up when looking at the activities of the Ku Klux Klan during the Reconstruction Era. 2) Pike was not the “Pope” of American Masons. (This statement shows how little the author understands Freemasonry). He was the head of one Scottish Rite Supreme Council. He had no authority over anything outside the Scottish Rite, and even then, just one of the two Supreme Councils in the US. 3) The use of the word “Palladism” shows that you’ve fallen for the Taxil Hoax. Per conspiracy theorists and anti-Masons, Palladium Masonry is the very top of the Illuminati pyramid and the overseer of all Masonic rites, united under some sinister and Satanic agenda. Palladium Masonry is the invention of a Frenchman named Marie Joseph Gabriel Antoine Jogand-Pagès, but better known by the pen name of Léo Taxil. In 1885 and 1886, Taxil published works which attributed Palladium Masonry to Albert Pike, although this is just one of the many fabrications he concocted and duped the world with. This order was said to practice devil worship, perform murders, and other such horrors. However, doubt began to spread about his published lies and on April 19, 1897, he confessed that it all had been a hoax to embarrass Freemasonry as well as the Catholic Church. 4) JQA was involved with corrupt bargaining of 1824. 1) I think you’re a great lawyer of fremansory’s crimes but truth is another thing! Informaiions come mainly from the historical investigations by Dr. Walter Fleming (1874-1932), ph. Auburn University. Where or what are the academic credentials of Masonic “truth seekers” such as the self styled “Grand” Lodge of BC and others that call anyone who says Pike was a key figure in the KKK a liar and “a hater”? 2) the title of pope doesn’t exist in freemansonery because there are different currents. It’s a simbolic definition only. The Mazzini letter is an obvious fake, the language is completely incongruent with the period in which it was supposed to be written, it is clearly written many decades later. As for Pike being in the KKK, that is extremely unlikely as Pike was closely aligned with Jews such as Judah P. Benjamin and the KKK was founded largely to combat the influx of Jewish crooks and swindlers into the South in the immediate post Civil War period. “I took my obligations from white men, not from negroes. Not a chance that Mazzini’s letter is a fake either. Just because people don’t disclose they’re creds or name drop doesn’t make them less credible. All beLIEfs can manipulated, only knowledge is dangerous. Consensus & convention are synthesized by EL-ite secret societies who control the game board w/ Mammon Ra. The unclouded eye was better no matter what it saw. The letter claimed to be written by Pike to Mazzini is an obvious fake; it is supposedly written in 1871, but contains a reference to ‘Nazism’. therefore it is most likely written no earlier than the 1930s. Great read & article. Thanks for putting out some more truth w/ some decent research. Once people’s consciousness becomes more aware (enlightened) then people will understand the Jesuit Hierarchy symbols & history & meaning of ‘Saturn Death Cult’ (Saturnalia=Satan) worship & it’s omni present symbols. i.e Kronos (Time) Grim Reaper, Sickle (Harvester of not just Agriculture but also SOULS) etc. At some point soon I hope critical thinkers will figure out it’s not a collective ‘WE’ as in humanity created this condition, it’s the EVIL of the perpetrator’s not wanting to get caught & held accountable for their crimes against humanity. I’m not (at least not yet) a beLIEver that there will be a complete ‘revolution of consciousness’ a singualrity per se (a la Orwell) but I suspect, there will be a sloughing/molting/shedding of husk’s/transmutation/metamorphasis of many people’s perception of reality & the newly gained rebirth of that wisdom to see through things eventually. This article needs some repair, one of the paragraphs has been repeated twice over. The Knights of Columbus will not knowingly admit a Freemason into their ranks. Now I understand why. Why would someone embrace a philosophy so repugnant to the human condition? And join a group of fellows who simply wrap evil with secrecy? Thank you, Mr. Haller. Could not have phrased your thought more eloquently. (BTW, someone’s messing with my favorite site: VT) ! Meddlers without shame, perhaps. Someone’s always messing with VT….guess who?